Please select a Emergency Stop System below to start purchasing online, don’t forget if there is a particular Emergency Stop System for your machine you require and you can’t find it just get in touch on 0121 603 1234 and there is a good chance we will be able to meet your Emergency Stop System requirements. – 360degree telescopic pendulum switches – These can be permanently fitted onto the machine or have a magnetic base and flying lead so that it can be positioned where the operator considers the hazard is situated. These are commonly used on Radial Arm Drilling machines & Horizontal boring machines. – Bump strips – these are linear switches within a flexible moulding. Can be supplied in long lengths. Commonly fitted to the front of long bed lathes where it is not practicable to fit leadscrew covers. If an emergency occurs then the operator or a third party depresses the moulding by any means available which makes the switch contact and initiates an emergency stop. 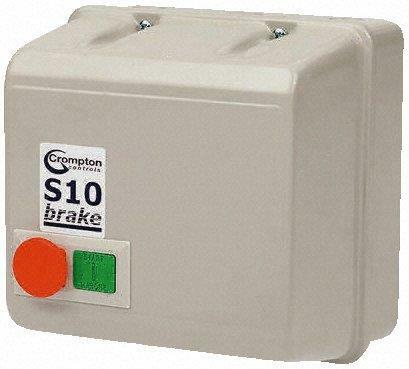 – Machine braking systems- DC injection braking systems are available for retrofitting to machinery so that if an emergency stop button is actuated then the DC Injection brake activates on the machine drive motor to bring the machine to a halt in the fastest possible time. Commonly used on woodworking machinery and radial arm drilling machines. Solon Systems will design supply & install Emergency stop systems & access control systems to meet most applications. Contact Solon Systems at sales@solonsystems.co.uk and our Specialist will be in touch with you directly.